?Real Madrid midfielder Luka Modri? has claimed that he should take more shots on goal, after scoring the opening goal in his side’s 4-1 Club World Cup Final win over Al Ain. The match saw the Spanish giants win their seventh world title, as they cruised to victory in Abu Dhabi. 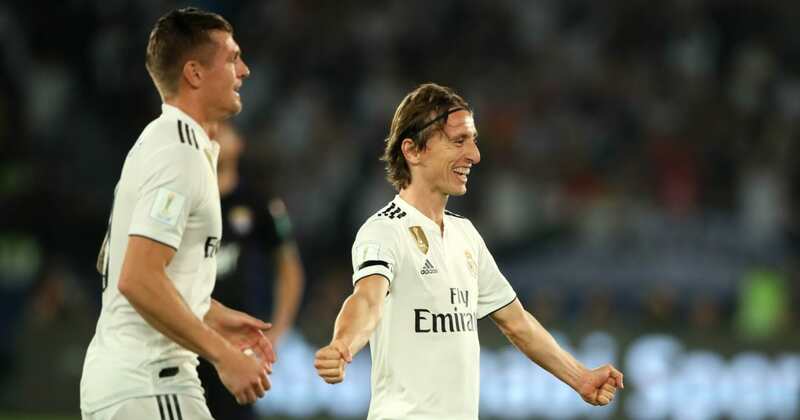 Modri?’s long-range strike gave his side an early lead, before second half goals from Marcos Llorente and Sergio Ramos sealed the win. A late own goal from Yahia Nader made it ?4-1, as Los Blancos capped off a comfortable victory in style. claim the yearly award. The former Spurs man has been with ?Real Madrid for seven seasons, winning one league title and four Champions Leagues in the process. Despite their form improving of late, Los Blancos’ nightmare start to the season under their former manager Julen Lopetegui sees them still sitting eight points off current league leaders Barcelona. With the season approaching the halfway point, the side will hope their Club World Cup win can spur them on to mount a title challenge in the new year. In other news, ?Lyon have reportedly offered their star midfielder Nabil Fekir to Real Madrid. The £50m-rated playmaker has been starring in Ligue 1 for a number of seasons now, but his club are believed to be preparing to cash in on his services in January to avoid losing the player for nothing upon the expiry of his contract in 2020.